There are many reasons for having multiple gmail accounts. Personnel, office, business, data storage...etc. 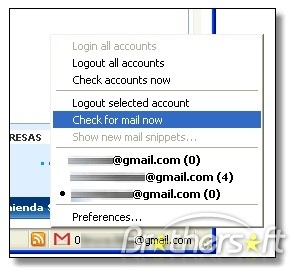 Many of us using multiple gmail accounts. But it is really difficult to maintain all the accounts. Now, mozilla makes it easier to maintain our multiple gmail accounts by the use of gmail manager extension. With the latest version of gmail manager 0.6, we can receive new mail notifications along with viewing account details including unread messages, saved drafts, spam messages, labels with new mail, space used and new mail snippets. 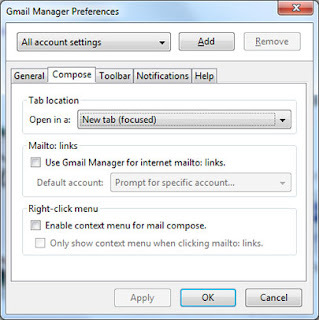 You can download the latest version of gmail manager 0.6 here. This is very helpful information. Thanks for sharing this... ready to down load this now. Cheers, Jenn.